Posted: February 8, 2018 in Features, Who,What,Where & When...? 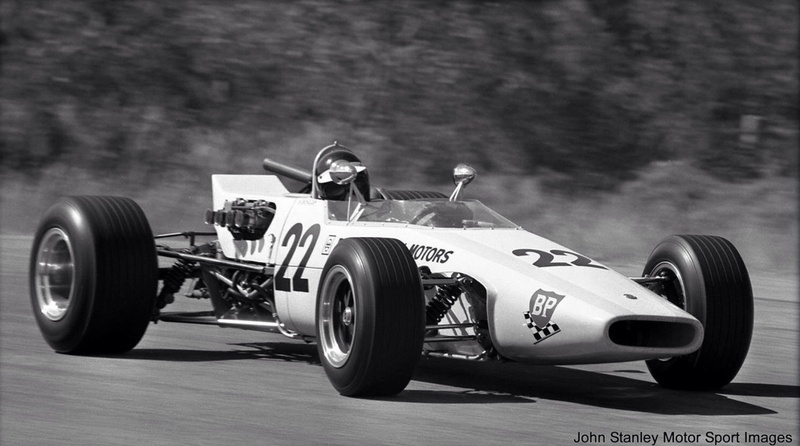 Boy, there is some talent focussed in and around Max Stewart’s Mildren Waggott 2 litre. 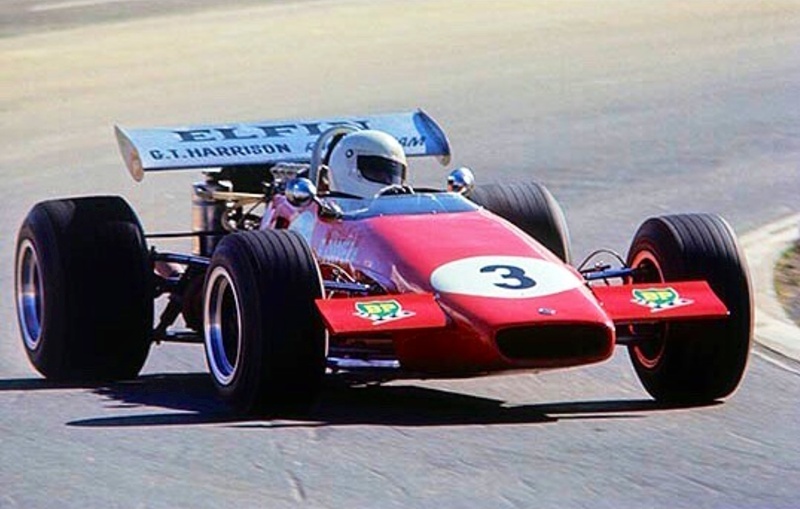 Big Maxxie towers over the top- its his car, he raced it for Alec Mildren for several years then bought it upon Alec’s retirement from the sport and won the ’71 Gold Star, the Australian Drivers Championship in it. Max knows every centimetre of that liddl baby. 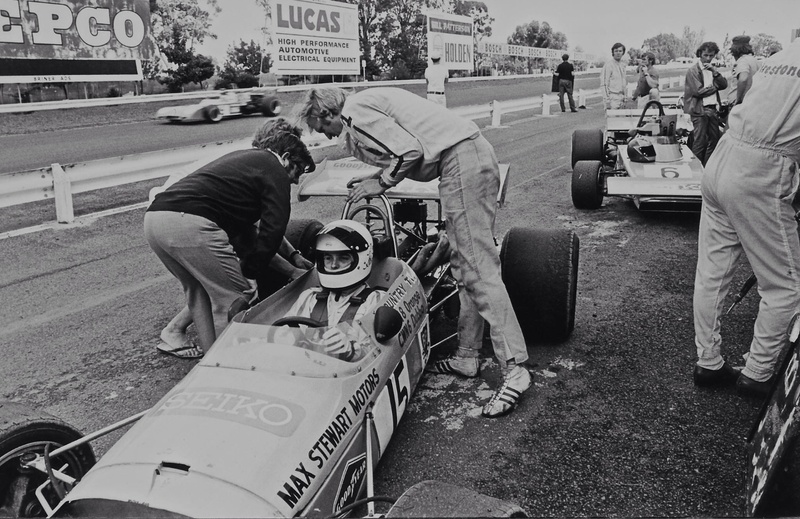 Max retired the MR5 with engine problems in the AGP the following day. The short fella with the big arse leaning over the Mildren on the other side is Paul England, a legend. 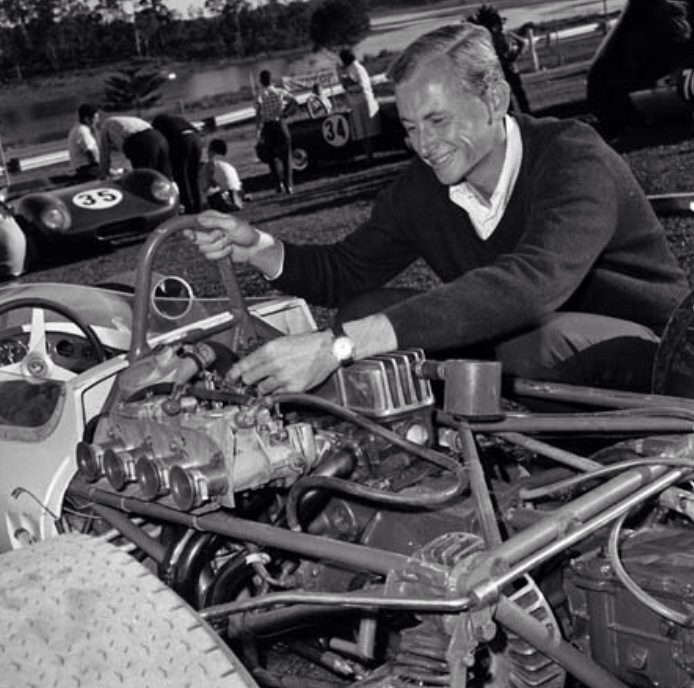 Ex-Repco Research in the Charlie Dean Maybach days, builder of the Ausca Holden Repco sportscar, Cooper T41 competitor in the 1957 German GP, multiple Australian Hillclimb Champion and proprietor of Paul England Engineering in Moonee Ponds- Dame Edna’s Melbourne home suburb of course. 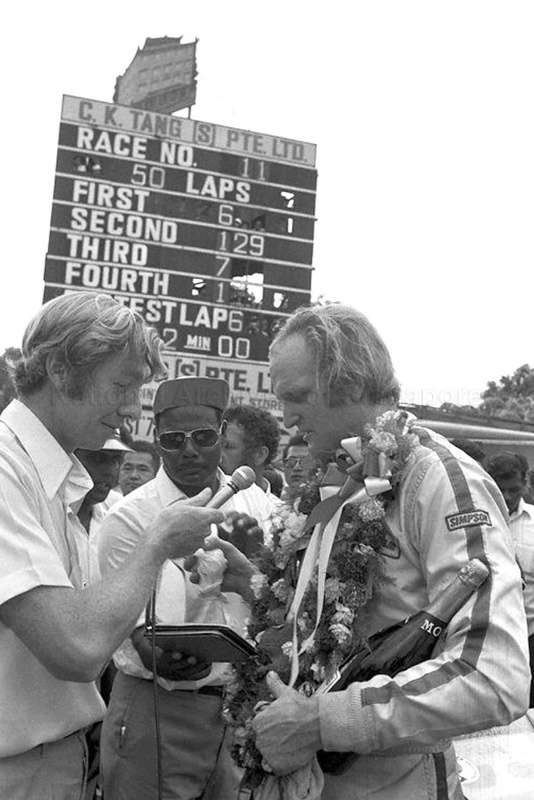 I wonder who the ‘Firestone’ driver is leaning against the (unsighted) pit counter. Fourteen year old me is somehere on that pit counter at this very moment. I’ve got my eyes on both the cars and marauding Light Car Club officials looking for prats like me who are not ‘sposed to be there. 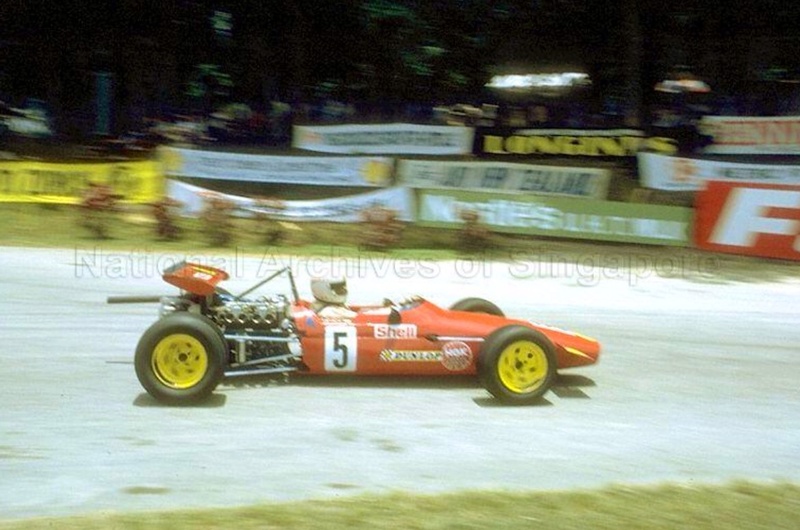 One of the ‘works’ Elfin MR5 Repco’s with its new Tyrrell nose is blasting past on circuit in 3rd gear making a glorious fuel-injected 90 degree V8 basso-profundo bellow. Not sure if its Garrie Cooper or John McCormack. 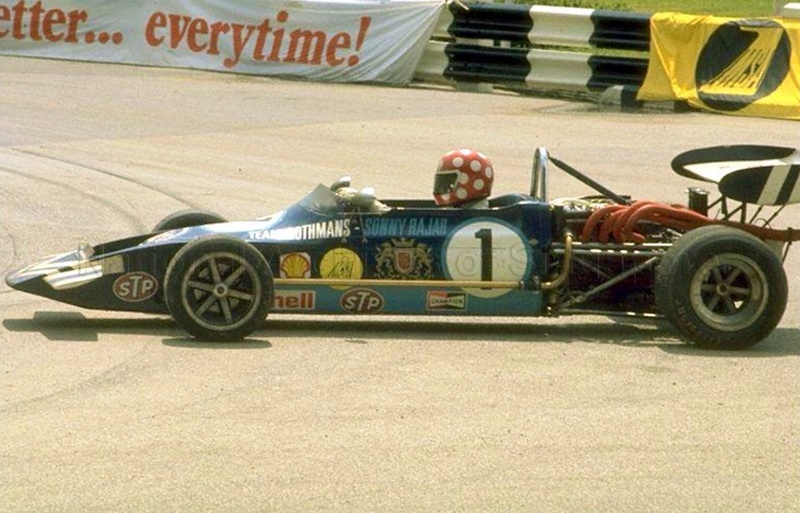 The stocky little dude in the blue T-shirt behind Max’s MR5 rear wing is ‘Lugsy’ Adams- then a top mechanic but very soon to be a quick touring car driver, and several years after that an F5000 constructor/driver. Remember the Adams GA1 Chev? 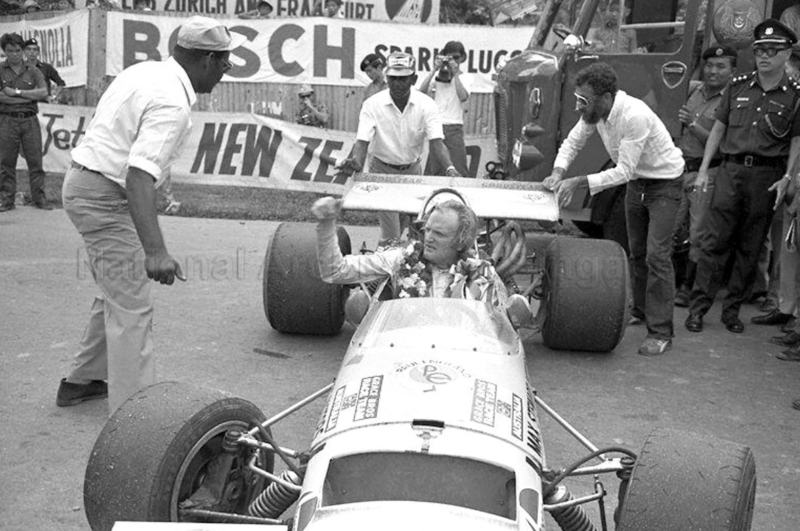 Its his driver Warwick Brown he is talking to- WB is in his formative McLaren M10B Chev F5000 days but is soon to be one of its enduring talents in both Australasia and the US. 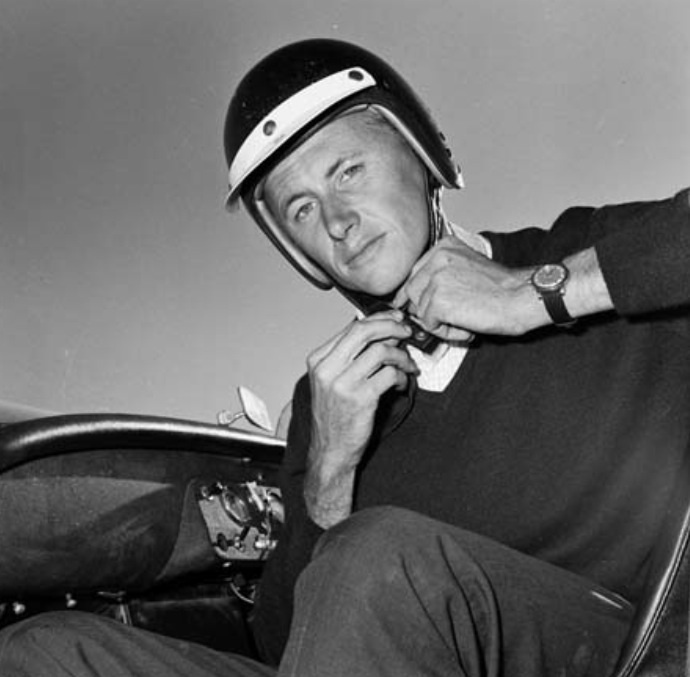 He was a shooting star, out of Formula Vee, he funded his racing with a series of car yards in the Box Hill area of Melbourne. 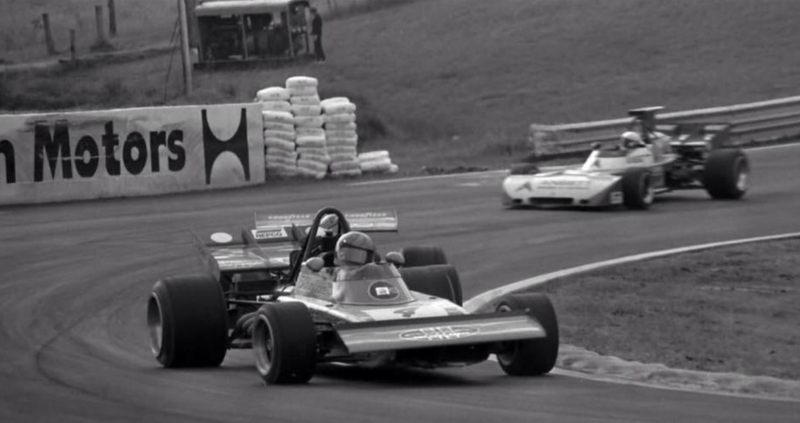 He progressed to an Elfin 600 Ford F2 car, notably winning a very wet Gold Star event at Symmons Plains in September 1971 ahead of a field of sodden F5000’s and ANF2 cars. 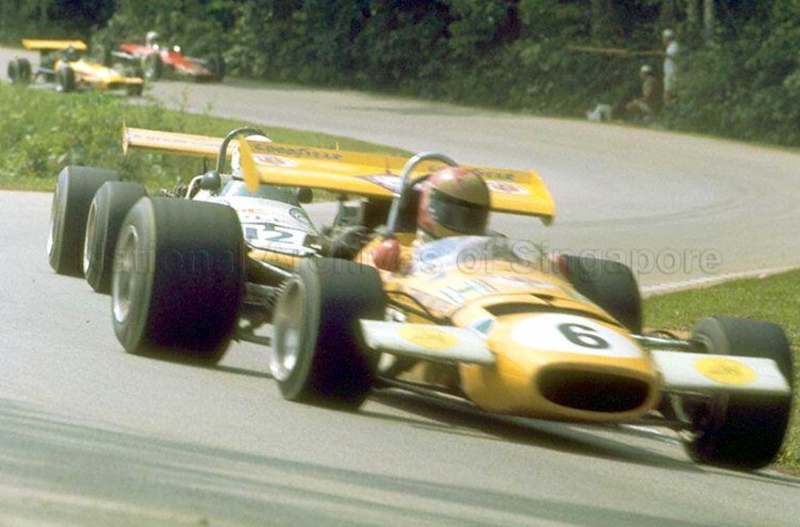 Tony had some races in Paul England’s Dolphin Ford- a BT30/36 Brabham copy and several races circa 1973/4 in an F2 Birrana 273 Ford Hart before disappearing from the scene. He was one of those guys who had the makings of a champion, I’m intrigued to hear from any of you who know the ‘Tony Stewart Story’. He didn’t stray from the used car trade though. He established ‘Car City’ a massive emporium of competing dealers on a huge former apple orchard site on the Maroondah Highway, Ringwood. He saw the new auto retail approach on a trip to the US and applied it in Melbourne’s outer east. 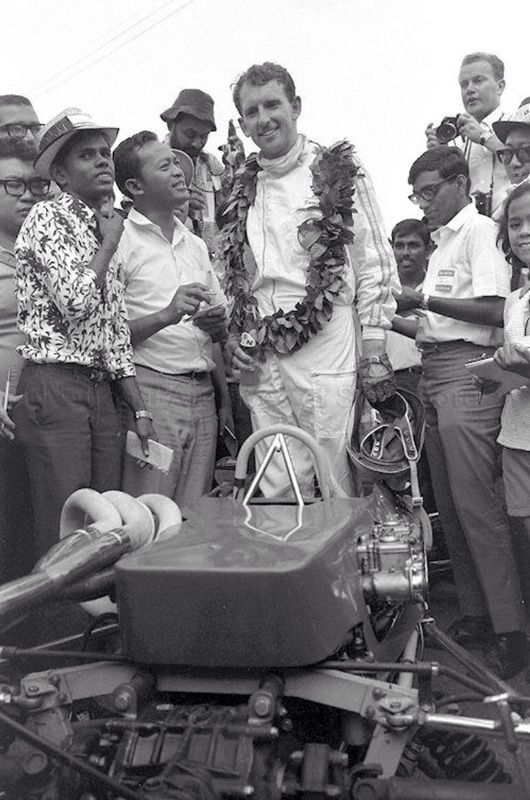 Bumma really, he made his money AFTER his racing stage rather than when he needed it to feed his passion most!? 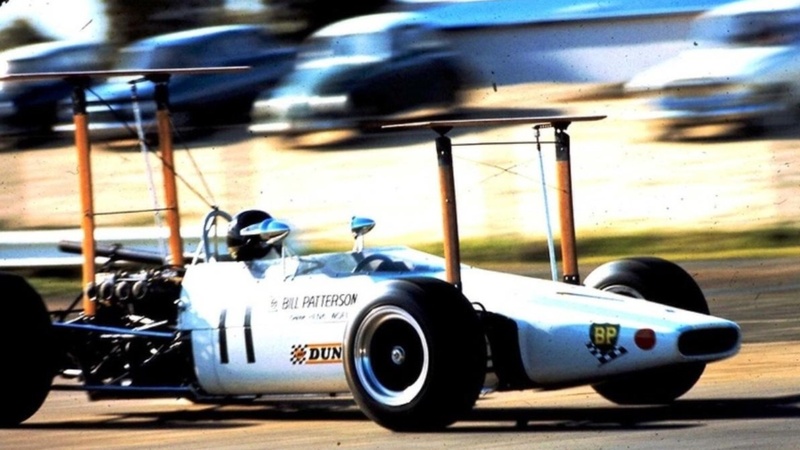 Tony raced the Mildren Waggott in the all of the Australian Tasman Rounds- Surfers Paradise Q15 13th, Warwick Farm Q12 8th, Sandown Q19 12th and Adelaide Q16, non-classified. 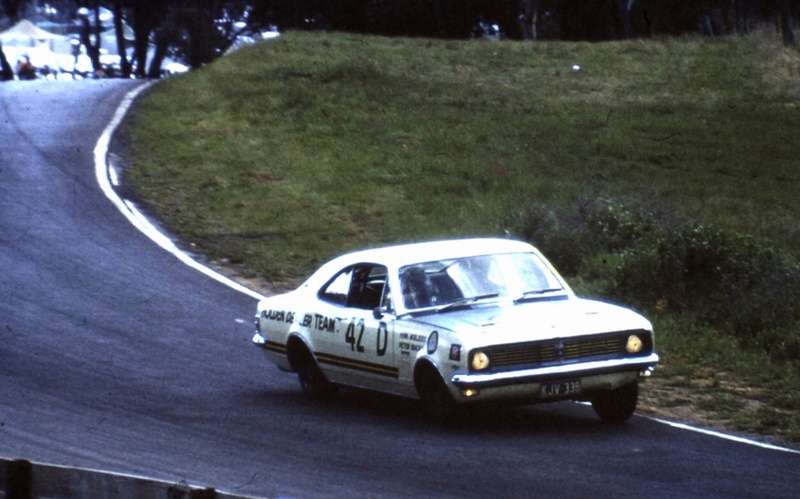 It was tough in a 2 litre car by then amongst the 5 litre heavy metal but was still valuable experience in longer races for the young driver. 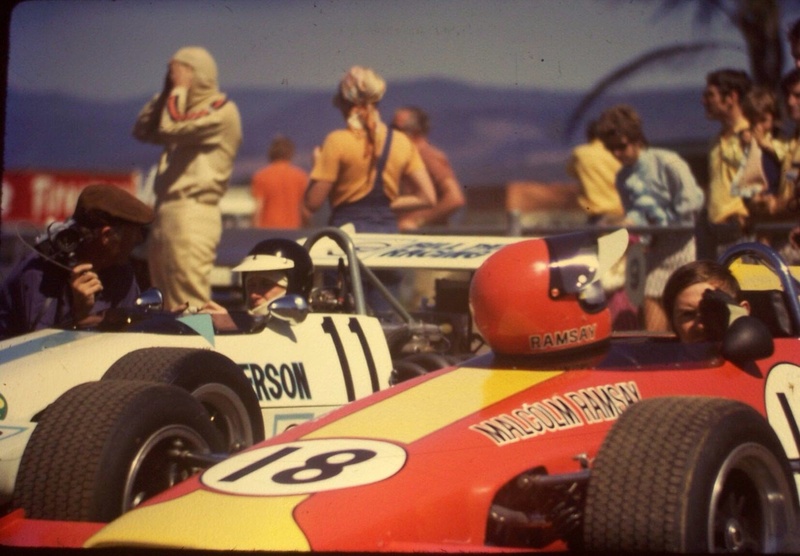 1971 was a bit of a transitional year between the old 2.5 litre Tasman Formula and F5000. 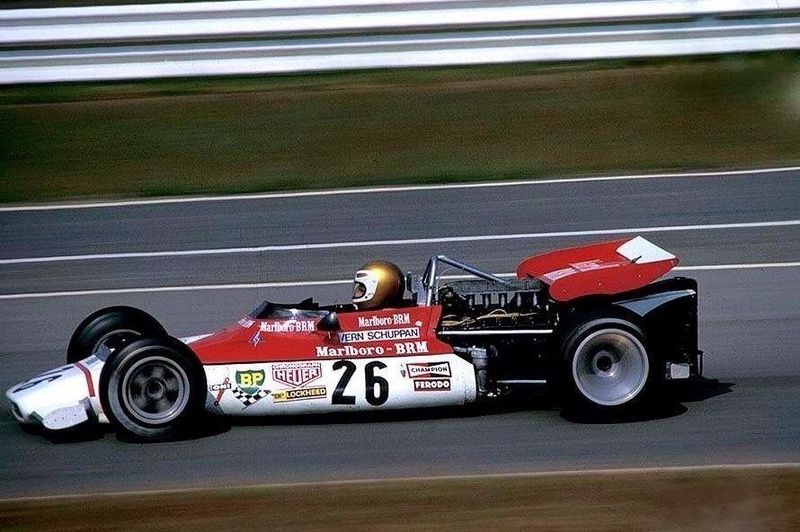 The 5 litre beasties were quicker than the smaller cars but in a year of speed and reliability Max Stewart won the championship with one win and plenty of consistency from to Kevin Bartlett’s three victories in his McLaren M10B Chev. The Series went down to the wire, to the last round October at Mallala, South Australia. 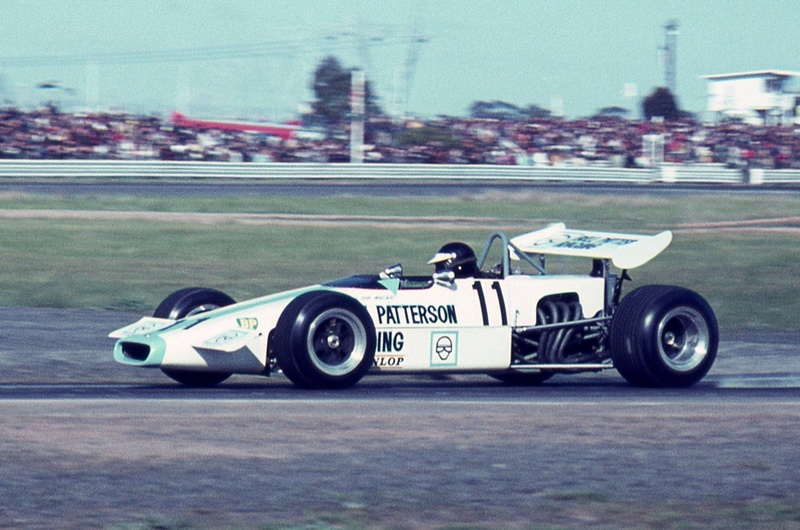 Any of Kevin Bartlett, Max Stewart or Gold Star debutant Alan Hamilton could have taken the title, in the end Max did it with third place behind McCormack and Hamilton. KB looked the goods until engine failure intervened late in the race. In a strange turn of events and happy circumstances for him, Tony Stewart won at a very wet Symmons Plains, the penultimate ’71 Gold Star round. 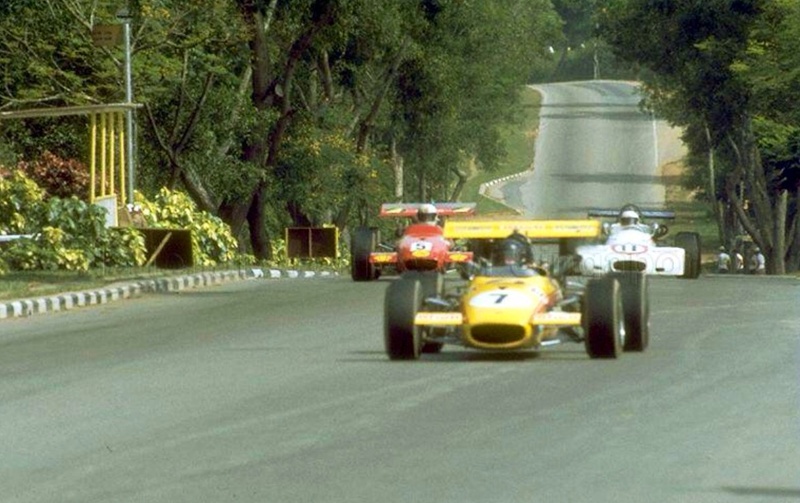 A good field of 17 cars entered for the race at the ‘Apple Isle’ but a grid of only 8 cars started as a consequence of non-appearances and accidents in practice. John McCormack, Elfin MR5 Repco snatched pole late in the second session ahead of Alan Hamilton, McLaren M10B Chev, the similarly mounted Kevin Bartlett and on equal fourth quickest Max Stewart’s Mildren Waggott 2 litre and Colin Hyams Lola T192 Chev. 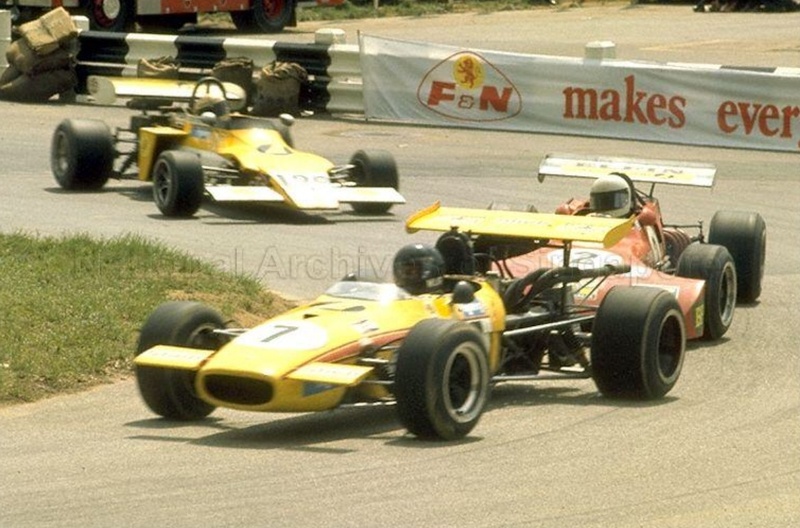 Then came Warwick Brown, McLaren M4A Ford Cosworth FVC 1.8, then Tony Stewart, Henk Woelders Elfin 600E Ford, Jack Bono and Garrie Cooper Elfin 600D Ford who did not practice. 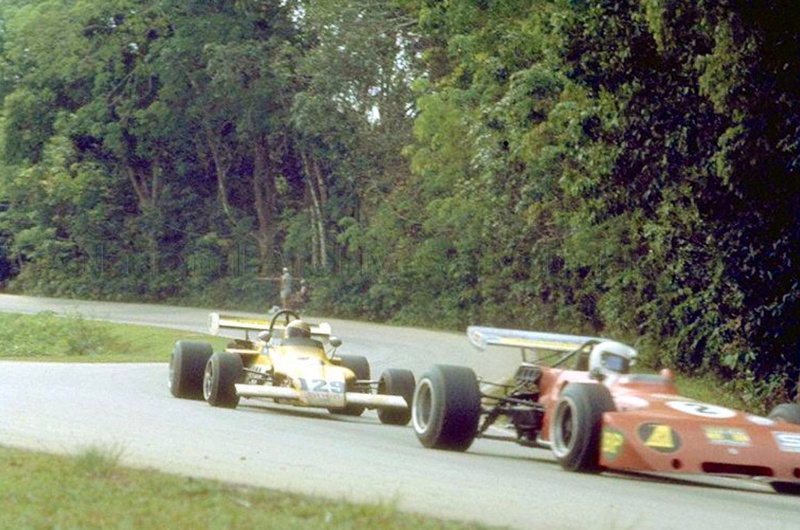 The latter three cars were all ANF2 cars- 1.6 litre Lotus/Ford twin-cams. 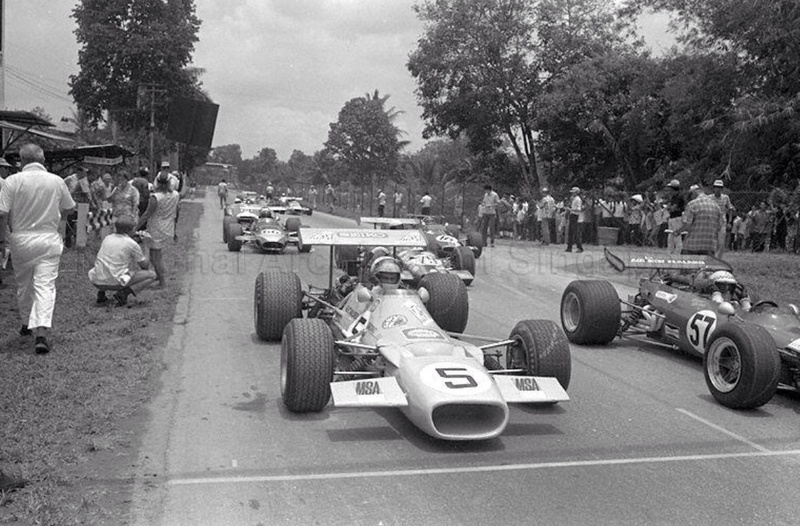 The start of the race was delayed by heavy rain which had practically flooded the circuit. 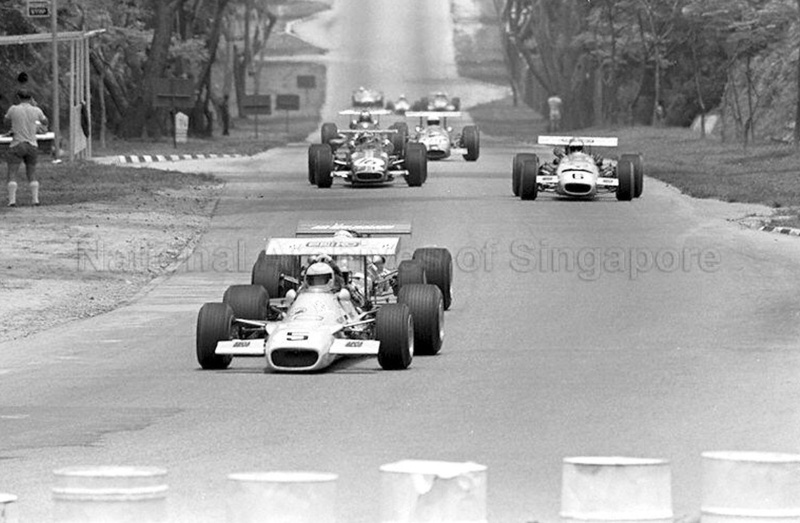 The weather was so poor the drivers were given a warm-up session to get used to the conditions before the off. 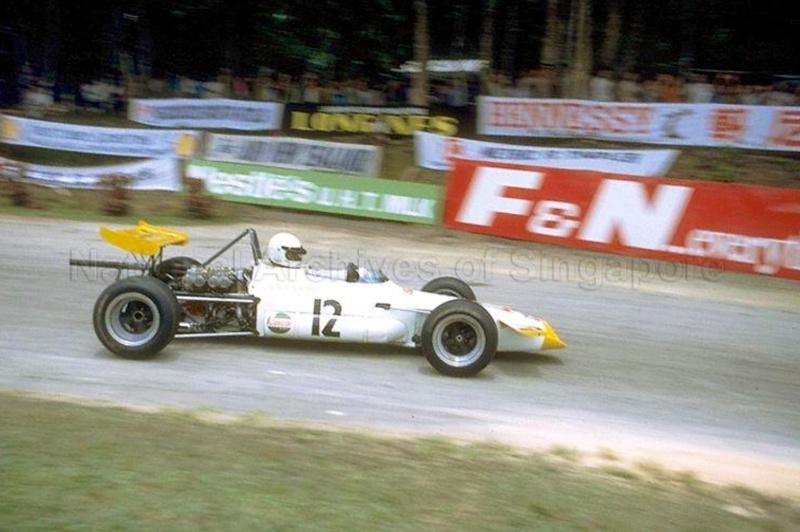 KB spun his McLaren on the main straight on dry tyres, he had no wets. 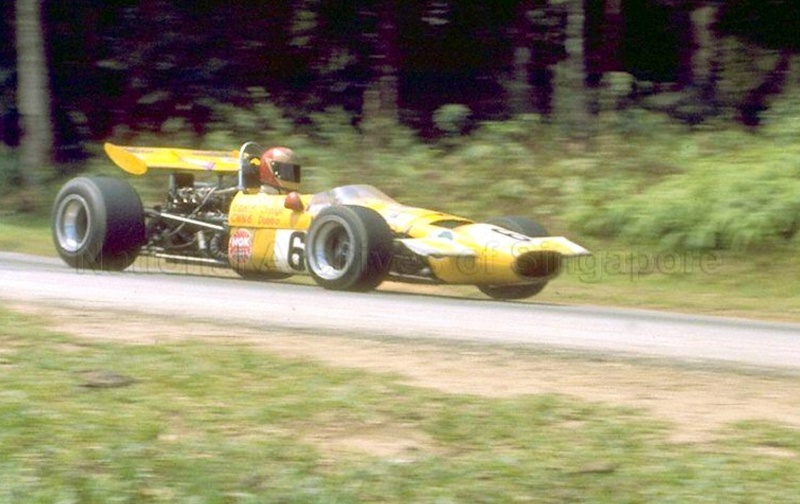 Colin Hyams also spun his Lola T192 Chev, down a slope into a clump of trees, bending the ex-Frank Gardner ’71 Tasman Series mounts chassis. 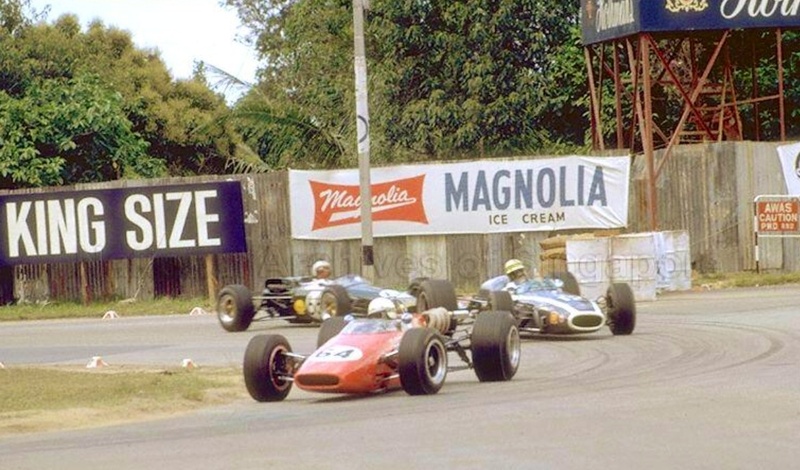 McCormack, Elfin MR5, Bartlett, McLaren M10B, severely hampered without wets but in search of valuable points, Max Stewart, Mildren Waggott, Tony Stewart Elfin 600 Ford, Warwick Brown McLaren M4A Ford FVC, Garrie Cooper Elfin 600D Ford, Jack Bono Elfin 600B Ford and Alan Hamilton’s McLaren. 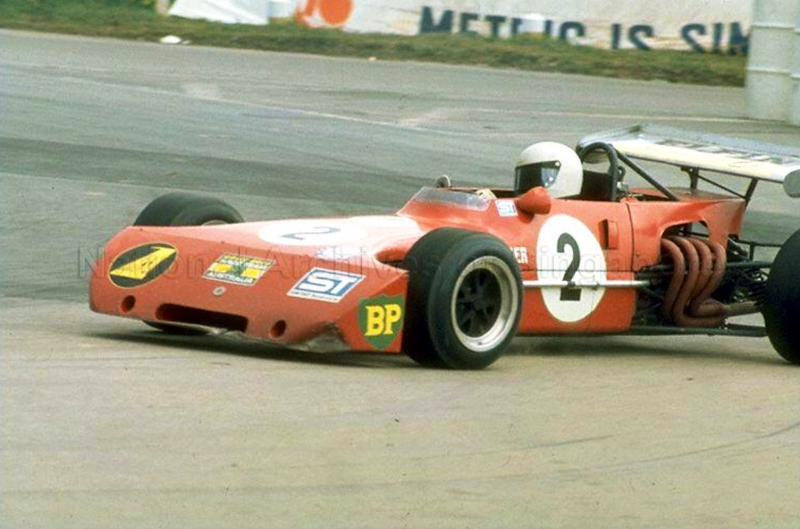 KB elected to start from the back of the grid given the 500bhp/slicks/wet track phenomena he was dealing with. 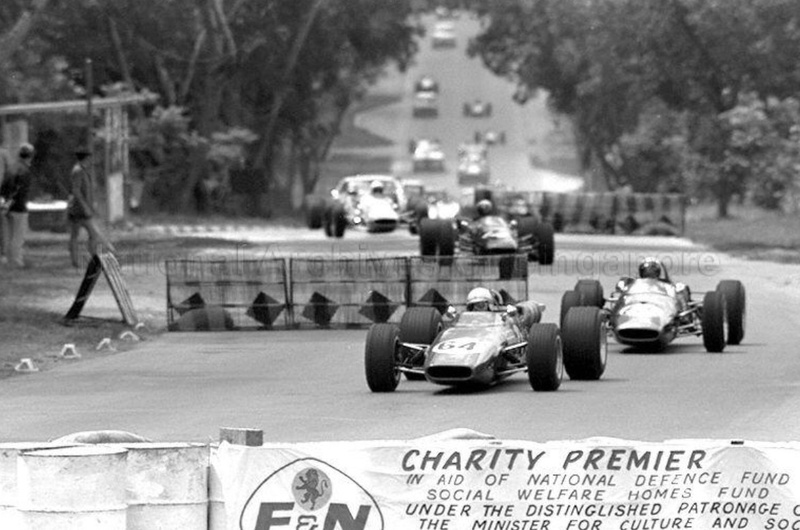 From the flag Hamilton led, Max Stewart, Brown, Tony Stewart, McCormack, Bono, Cooper with the hapless Bartlett last. Hamilton lapped KB for the first time in two laps. 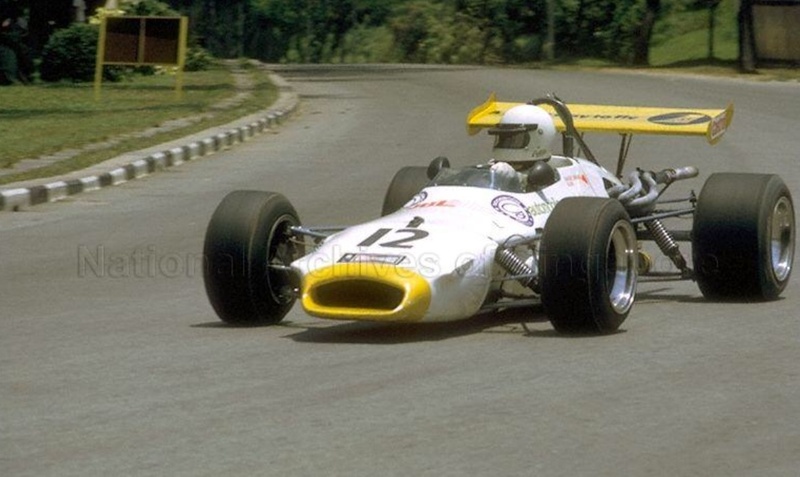 The Melbourne Porsche importer/dealer drove a strong race in his new McLaren M10B Chev, the chassis was Niel Allen’s spare tub which was assembled and sold upon his retirement from the sport and used by Hamilton in his first single-seater season very effectively. 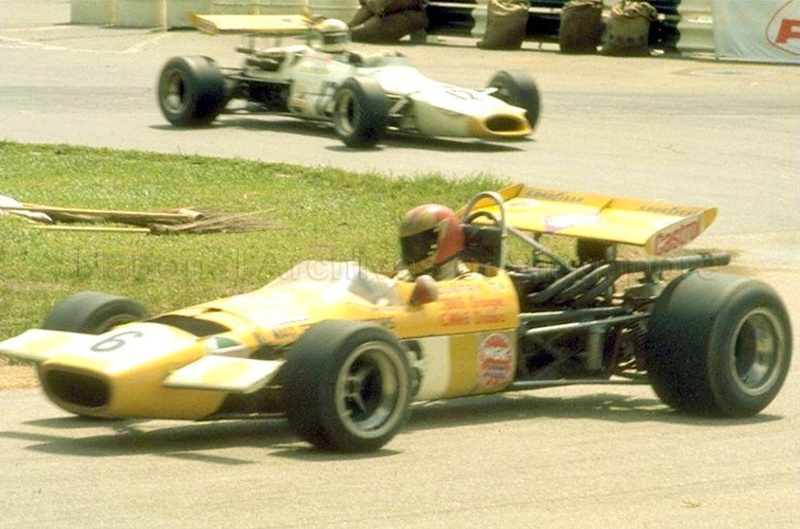 With a third of the race completed Hamilton lapped second placed Brown for the second time. Tony Stewart moved into third place as his namesake Max wrestled with a sticking throttle slide- he pitted early, went out again and nearly demolished the car with another spin. 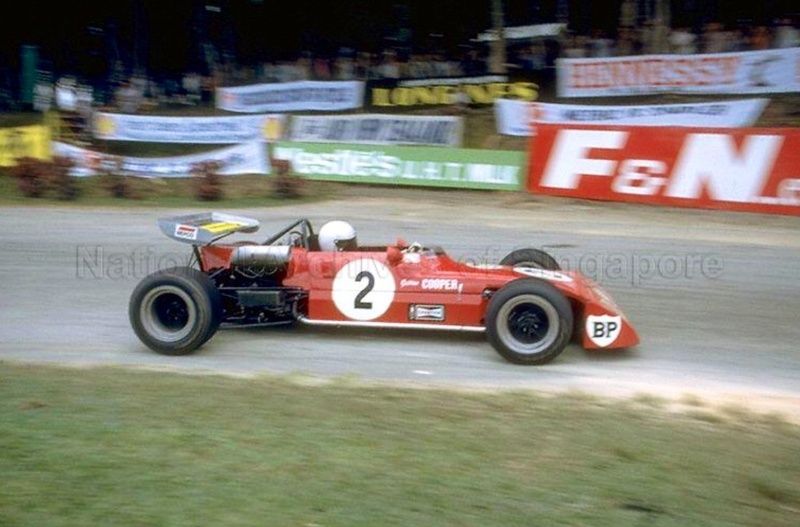 With the conditions not improving Bartlett was hamstrung by inappropriate tyres for the races duration. On lap 38 the races drama continued with Hamilton having an off, drowning his injected Chevy in the process and losing five laps. 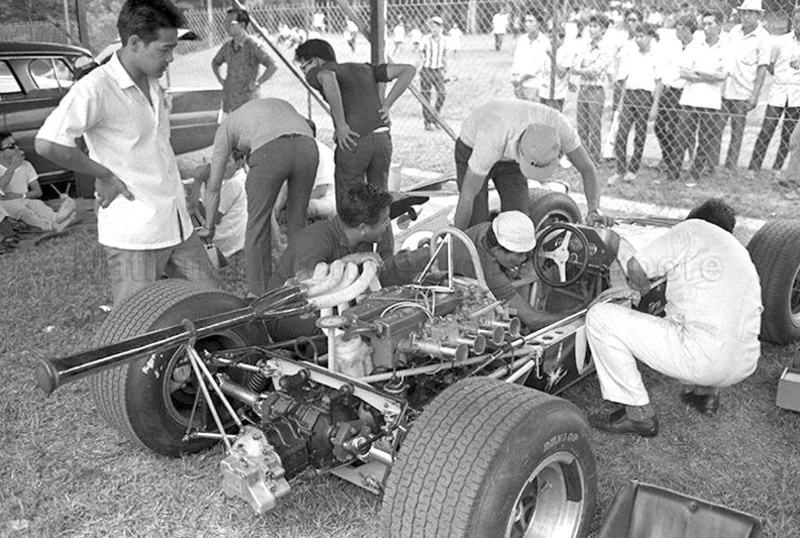 He pitted, but was out of the running three laps later the engine soaked. This left Warwick Brown 20 seconds ahead of Tony Stewart but the McLaren was overheating, it was losing water, ironic given the conditions. So, Tony Stewart was in the lead. 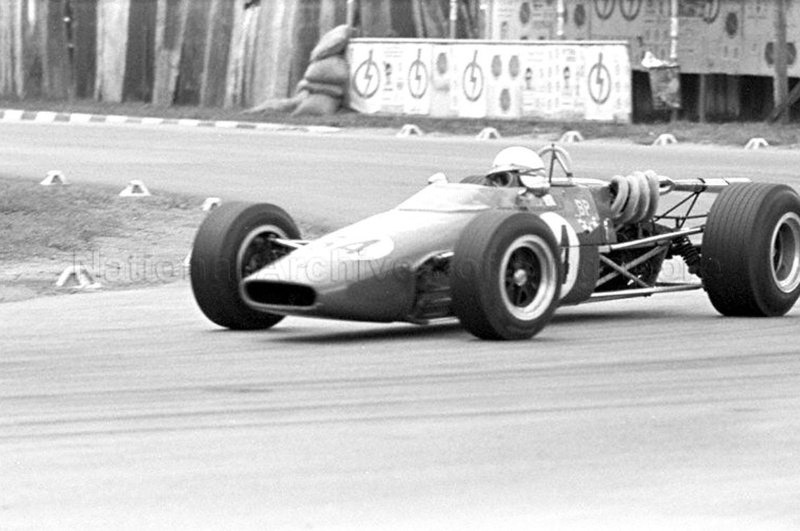 Tasmanian, John McCormack adapted steadily to the conditions and started putting on the pressure in his new Elfin MR5- a combination which proved very competitive over the following three or so years, and took 2nd place as Brown spun in the final stages, Warwick recovered quickly to fill 3rd place. So, in a drive of speed and consistency Tony Stewart’s ANF2 Elfin 600 Ford won from McCormack’s Elfin MR5 Repco, Brown, McLaren M4A Ford Cosworth FVC, Elfin boss Garrie Cooper’s Elfin 600D ANF2, Jack Bono, Elfin 600 Ford ANF2 and Max Stewart Mildren Waggott. Max had only completed 55 of the 68 laps but the soggy one point gained won him the Gold Star! 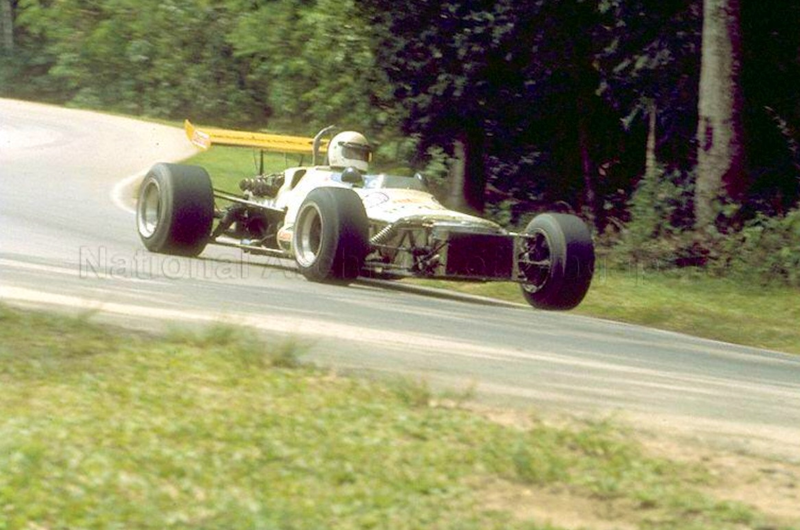 It was the last time an ANF2 car won a Gold Star round- a splendid drive by a driver of considerable finesse in the most trying of conditions.